In our time and space, Yoshiharu Sagara is a simple high school student. 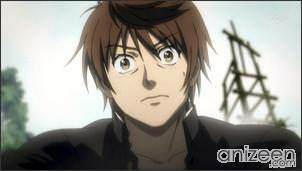 But one day, everything changes and Yoshiharu finds himself in the middle of an ancient battlefield. There, Yoshiharu is saved by none other than the man who later becomes the respected Hideyoshi Toyotomi, but a lost gunshot hits Hideyoshi and he dies in Yoshiharu’s arms. With history completely changed, Yoshiharu thinks this is just a dream, but soon after his delusion is over a couple horses passes by and a fight begins. 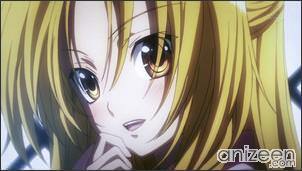 Yoshiharu sees a gorgeous girl been attacked and without any clue he steps up and tries to defend her. But once he realizes, he has no weapons, but his cell phone. 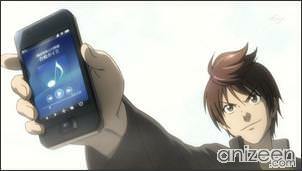 Yoshiharu surprises everyone with his gadget and then runs out of battery. Now, Yoshiharu tries to defend the girl and throws his body to cover her. 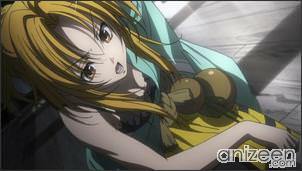 Waiting for the death blow attack, Yoshiharu feels happy he was able to do something to protect the girl, who is none other than the respected leader of the Oda family, Nobuna Oda. 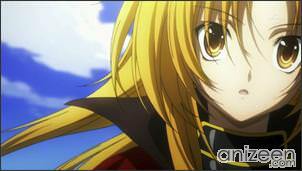 Yoshiharu is lucky enough to be alive, because some Nobuna’s soldiers appear and save them. 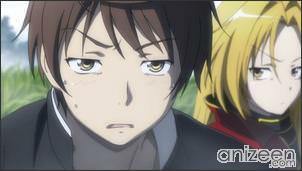 Now, Yoshiharu is taken to Nobuna’s place, where Nobuna asks him about his strange gadget. 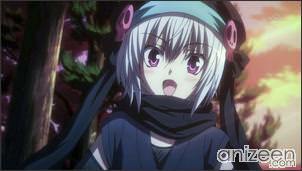 But now that it has no batteries, Nobuna is disappointed. Still, she is grateful that Yoshiharu saved her, so, from now on; he will serve under her guidance and with the nickname of Saru -monkey-. Yoshiharu doesn’t like the nickname, but is glad he has somewhere to live from now on. Once on his new room, somebody enters and abducts him. After the commotion is over, Yoshiharu finds a little girl, Goemon Hachisuka, who has come to serve him in place of the Hideyoshi. 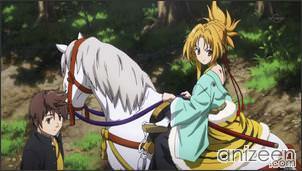 Somehow, Yoshiharu sees himself in the steps of the legendary Hideyoshi Toyotomi and thinks it’s not a bad idea to try conquering the old Japan alongside a good looking girl like Nobuna. 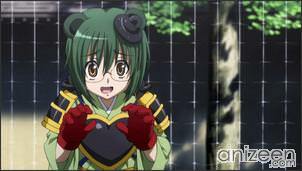 But the rumors spread really quickly, and the neighbor territories and their lords have heard that Nobuna has a monkey as her new pet and weapon. With his knowledge from the future, Yoshiharu is able to help Nobuna take over a near territory, which is just the start of their adventures. Yoshiharu Sagara is a modern-day teenager who finds himself in an alternative version of the Sengoku period where some of the famous warlords of the era are female. 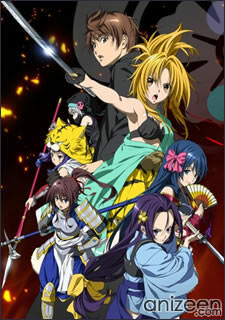 Using his knowledge from the videogame, Nobunaga’s Ambition, Yoshiharu helps Nobuna in her quest to unite and conquer Japan. 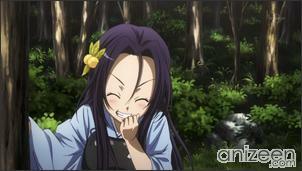 Yoshiharu starts working under Nobuna’s command, who nicknames him as saru or monkey. 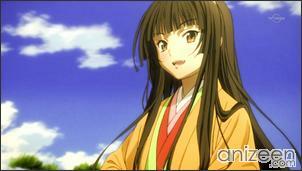 Oda Nobuna no Yabou (織田信奈の野望) is a Japanese light novel series written by Mikage Kasuga and illustrated by Miyama-Zero. 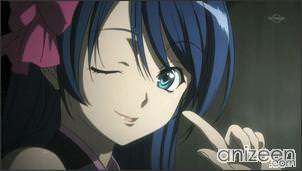 An anime adaptation premiered on July 8, 2012.